Sutan Rieza Abdillah closed his eyes as the needle was about to be injected. The employee of BINUS INTERNATIONAL was lying in bed to have blood drawn by the Indonesian Red Cross (PMI). Rieza’s friends gathered around the bed to witness the blood donation process and whispered encouraging words as Rieza grimaced as the needle pricked. 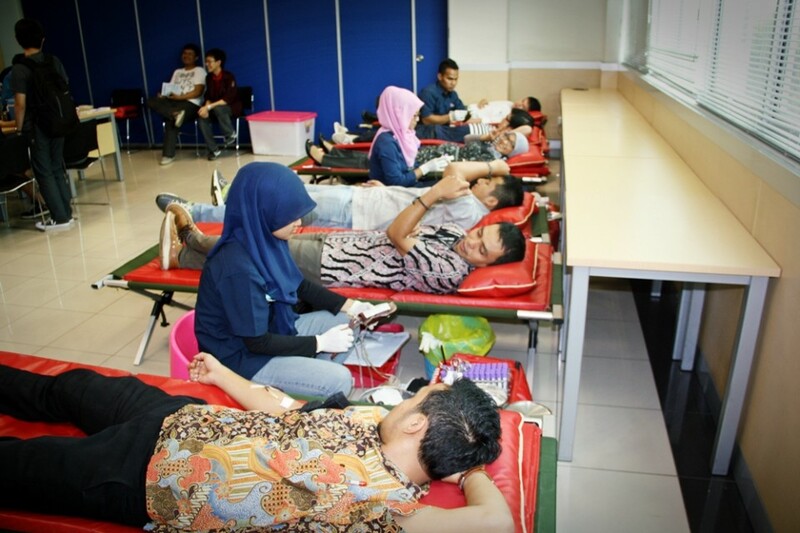 With other staff, Rieza was one of the donors at the blood donation held by Binusian Muslim Society. The event, which was held on Wednesday, November 6, was the first collaboration program between the Binusian Moeslem Society and the PMI Tangerang branch. “This is the first event held by Binusian Moeslem Society to commemorate Idul Adha. Last year, we held a campaign with the activity of donating materials. This year, we want to give a different nuance. We also don’t want to limit the category of donors. It is open for all students and the big family of BINUS INTERNATIONAL, be it lecturers or employees,” explained Achmad Zaki Robani, a student majoring in computer science. He took the role of project leader at this blood donation program. 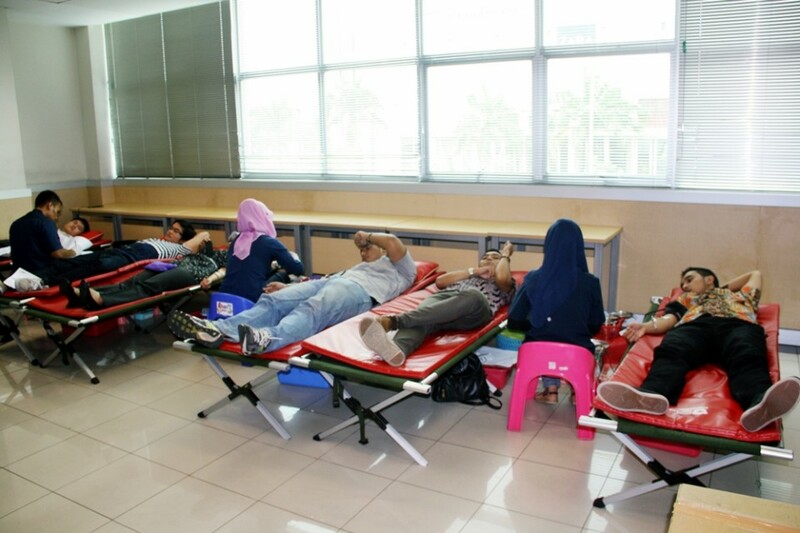 This blood donation got an enthusiastic response from the BINUS INTERNATIONAL family. The number of participating donors reached 75 out of the 100 targeted during the opening of the registration, which was held for a further two weeks.